One of the things that draws us to sports is that in a sense, it’s unpredictable. Of course, usually the team with more talent and more experience usually defeats the team with lesser talent and less experience. The team with the better record should no doubt go on to win the championship. That’s how we are raised to believe. But that’s not always the case. The 2007 New England Patriots were perfect all season long but didn’t win the Super Bowl. The 1995-96 Detroit Red Wings won 62 games but didn’t even reach the Stanley Cup Final. The 1906 Chicago Cubs and the 2001 Seattle Mariners both won 116 games in a season and neither won the championship. As sports fans, we crave for these moments when the top dog is challenged and goes down. It doesn’t happen often but when we do, we enjoy it because it’s what makes sports great. Statistics and records and predictions go out the window when things like this happens. You can’t measure the human element. Sometimes great players hit a slump. Sometimes the matchups don’t favor the favorites. Other times, simply, the other team is just better. I like sports because it can be unpredictable. The “better team” wins most of the time but every now and then, something happens and they don’t. And that’s what gravitates us to sports. We want to see what happens next and sometimes we want to see the upset. Other times we just want to see the better team do exactly what we expect them to do. So watching this series, the Warriors are showing us exactly what has happened in sports in the past and how we can’t predict it. On paper, they should not have been dominated like this. On paper, they were supposedly the best team. On paper, they should be up 3-1. It’s a little bit different when this is happening to the team you’re cheering for. That’s me right now. But taking a step back, this is why sports is fun. We can’t really predict how things will be and everybody will analyze and talk about why things aren’t lining up the way they thought it would. And that’s how the ball bounces. Sports isn’t built on predictability and what appears to be the way things are on paper. This series is the embodiment of that. 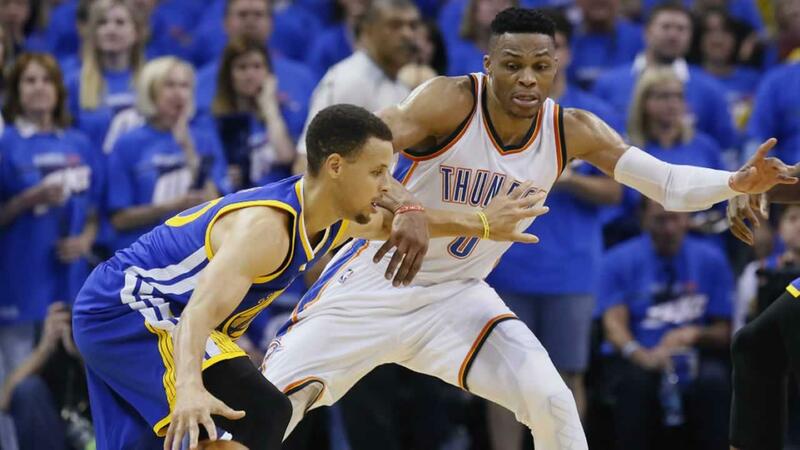 The Thunder are close to completing a major upset but the Warriors also have a chance to make a miraculous comeback. We can predict how it might go down. But we don’t really know for sure. That’s why we always tune in. This entry was posted in Commentary, Golden State Warriors, NBA, Oklahoma City Thunder and tagged NBA Playoffs 2016. Bookmark the permalink. Good post. I’m kind of rooting for the Warriors – would love to see a rematch with a healthy Cavs’ team – but the NBA has felt pretty darn predictable in recent years so it’s nice to be surprised. Looking forward to following your blog!